After an exhausting day trying to keep up in Queenstown, we headed to Wanaka, which was one of our favourite stops on the trip. 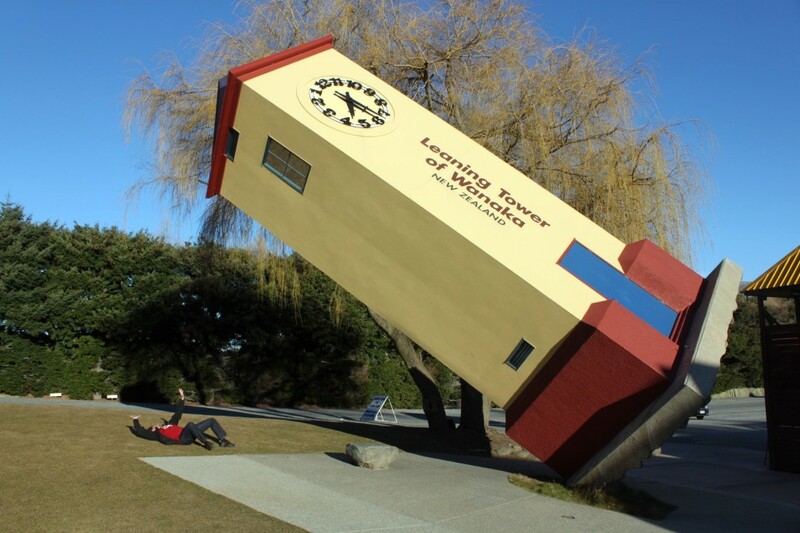 Wanaka was everything we wished Queenstown had been, beautiful and peaceful, without the oversupply of was Puzzling World, near Wanaka, an attraction which includes a giant maze and an illusion museum. Yeah, we know, nerdy! It was so much fun! 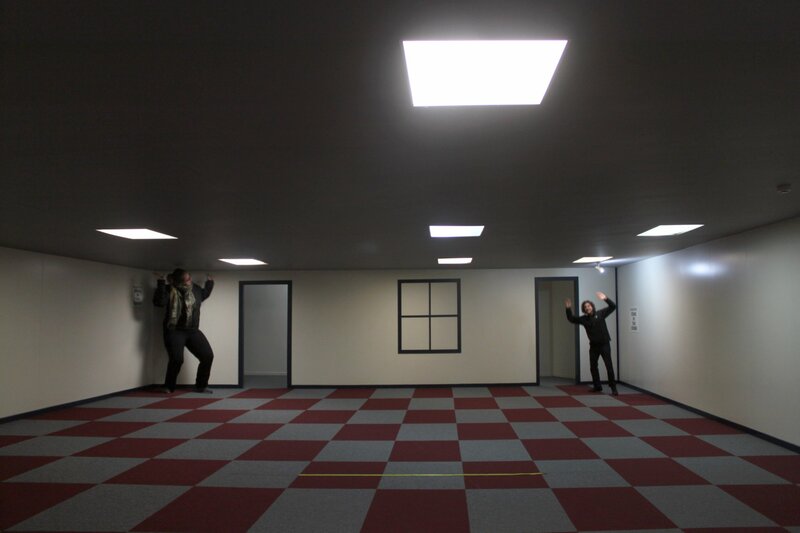 First you can enter the illusion room where you can learn about famous optical illusions and even create a few yourself. 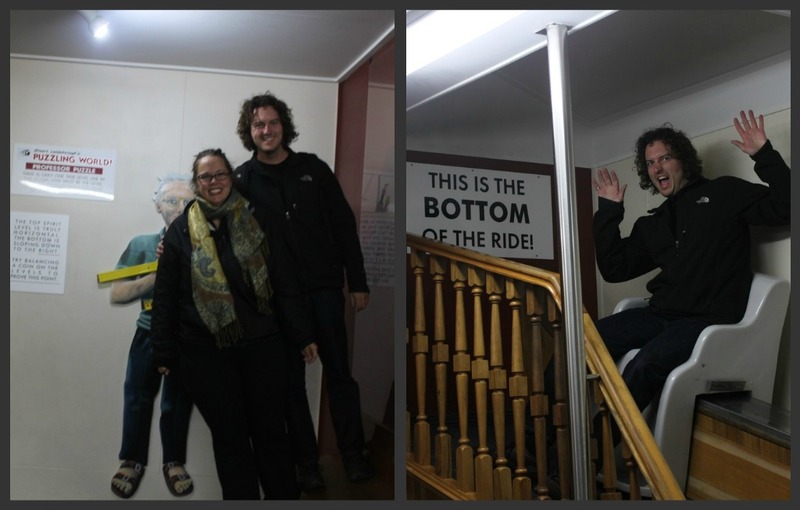 On to the tilted room, which is at a 15 degree angle, and it threw us off more than I thought it would. Along with a busload of german tourists we watched amazed as balls rolled uphill, water poured up a slope, and we even rode a slide up a ramp. Even though I knew why everything was happening, it was very discombobulating. The best part of Puzzling World is the Giant Maze. 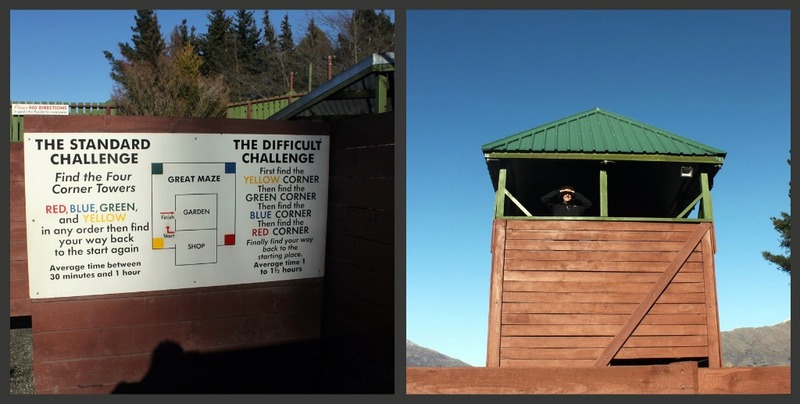 Located outside and around the museum, it is an intense challenge. You start in the middle and have to find your way to four towers in a specific order, which was much more difficult than I assumed. Scott and I raced each other through, and it took the winner (me!) over 40 minutes to complete the maze. This was one of the few attractions we paid to see, and it was worth it. We spent at least 3 hours hanging out in puzzling world, and I would go back and would win again! What a great write-up, thanks very much! !